I'm feeling so happy and blessed today. It was a wonderful weekend--it was sweaty and hard work to throw a 2-day tag sale (alllllllllllll day both days), but such a blessing, too. I met some great people, had wonderful conversations, gathered so many ideas, drank a lot of coffee, enjoyed fellowship & company of friends, and was thrilled to make some gas money for my move. I ended the weekend with a cookout and several toasted marshmallows, with more good friends! 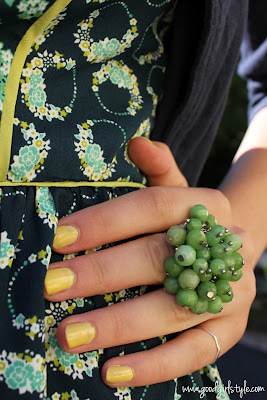 This darling little dress? Well it is bound to become a great friend in my closet, too. I've worn it twice since I got it last week! Friday morning, my french press broke. Not even the glass! I was washing it and the plunger just snapped off. Crazy. 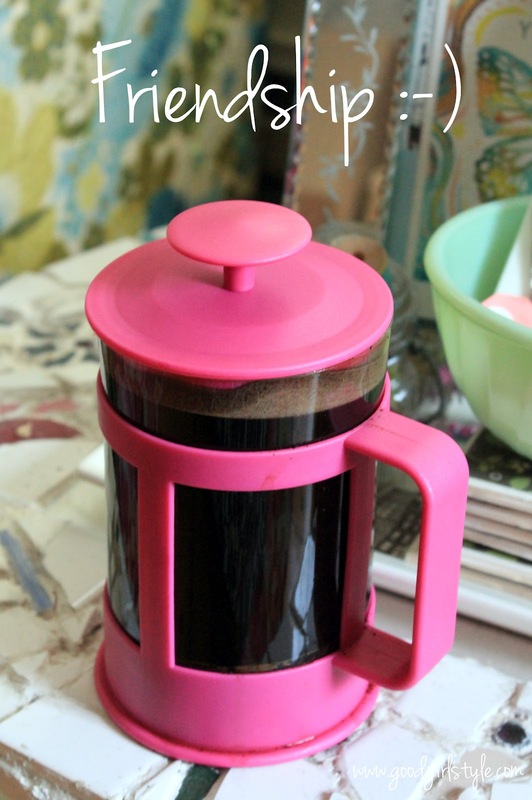 Anyway, one of my best friends is such a dear and she gifted me this HOT PINK french press. Friendship is oh so dear. I'm already loath to leave, and start over on that front. Enjoy your Monday! I hope you have the day off...but if not, put a smile on and enjoy the day anyway. Why not, right?